Did You Crash Your Ford Focus in Glasgow Yesterday? I need to start off by saying that I hope you got home safely yesterday. This is now the 18th of December and it turns out that the 17th of December is traditionally the worst day of the year for car accidents. I actually saw a couple of near accidents yesterday but thankfully neither of them developed into a full on prang type scenario. Overall, the days leading up to Christmas are the worst time of year for traffic accidents and I think that it is fairly easy to see why. We are all running about stressed out and trying to do several things at once while looking forward to / dreading the festive season. I hope that not too many people have been drinking at Christmas parties and then driving home but I can’t rule it out either. If you like your stats then you will be intrigued to see that between the 18th and 24th of the month of Chrimbo car insurance claims go up by over 50%. This is according to Co-operative Insurance. Another interesting factoid is that on the 17th of December Ford Focus drivers are most likely to be involved in a bash, while Astra and Corsa drivers are the next most likely. I realise that this information would have been more useful if I had told you it before the 17th of December but I only just found out about it myself. Maybe you will remember it for next year and leave your Focus at home then. So where are you most likely to have a crash on this most crash laden of days? Well, if you crashed your Ford Focus in Glasgow yesterday then you are the UK motoring equivalent of those US constituencies which always seem to vote in exactly the same way as the overall nation. After the fine city of Glasgow, comes the equally fine city of Birmingham. I’ve never been to Uxbridge or Ipswich but I am sure that there are equally lovely places and they come in next on the list. The morale of the story? Be careful where and when you drive in the run up to Christmas. 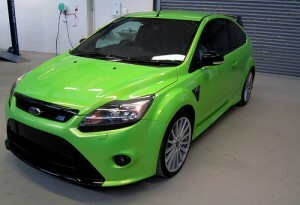 This entry was posted in Musings, Reports and Surveys and tagged car, car accidents, car insurance, Corsa, December Ford Focus, ford, ford focus, LV, MoT, traffic accident, Traffic Accidents, UK, US by Robert Bell. Bookmark the permalink.